In 2017, Google announced there were more than 2 billion active Android mobile devices worldwide. In fact, research shows that on average, Android users touch their smartphone 2,617 times per day. Crazy? Perhaps. But what happens when you reach out for your smartphone and it’s not there? Not having your Android smartphone, lost or stolen, can be a nightmare. Those frantic moments spent retracing your steps don’t always pay off. With the cost of Android smartphones hitting the $1000 mark, those can be some very expensive steps at that. Along with the thought of having to shell out big bucks is the realization of just how much information may now be in the hands of a not-so-good doer. Helping take the sting out of that very real fear, there are now Android device-finding apps available for that most cringe-worthy of moments. Accessing contacts, social media, bank accounts, photos, emails, texts, and more are an everyday expectation for your mobile pal. Stored passwords, account numbers, and other data you don’t want in the hands of someone else can all be up for grabs in a flash. Until now, unlike iPhone users who can use the “Find My iPhone” feature or block access to it remotely, Android smartphone users were left crossing their fingers, perhaps hoping for some kind of divine intervention. 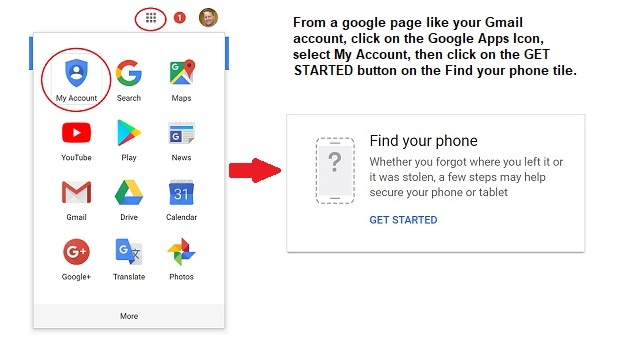 Knowing your device is locked and your information is safe while you’re searching for it is also a big deal. Finally, apps are available for doing both. The apps use GPS to pinpoint your phone’s location on a map, allowing you to track it down. Another feature lets you lock the device and display you phone number. One app lets you remotely wipe all the data your smartphone holds. However, choosing that option also deletes the app itself, removing the only hope of finding your phone using GPS. That’s a decision only you can make. With over 2 billion Android smartphones out there, you’re in good company wanting to keep tabs on your device. Knowing all is not necessarily lost should be motivation enough for Android owners to check out these apps, and maybe rest a little easier knowing help is just a touch away. If you like using texting apps to communicate with others, you may have downloaded one called Telegram. It has well over a million reviews in the Google Play Store, so it’s safe to assume it has a lot of users. Some enterprising developers decided to take advantage of Telegram’s popularity and open source code and make money off it by placing advertisements that when clicked will net them funds. And it’s pretty difficult to tell the difference between the real one and the malware too. The imposter app is different in a couple of obvious ways. However, to someone doing a quick search, it would be difficult to tell. The spelling of the phony one replaces one of the e’s with an “i,” hoping some just don’t notice the misspelling. The developer name is also different. The official one is Telegram, Inc. If you have downloaded one from a different developer and with a spelling other than “Telegram,” it could be the malware version. Once it’s on the device, it has only minor differences. For example, the colors are slightly different, the icon is a bit snazzier, and the ad placement is more front and center, as opposed to on the borders. The poser also is downloaded from a third party location. It really is safer to steer clear of sideloading. That’s when you download from sites other than the official app store for your device(s). When products are put into these official stores, they go through additional scrutiny that often gets missed when they are placed on other sites. Open source applications are good and bad. They are great for collaboration among developers. When issues are found, they can be fixed fairly quickly. However, because it’s open, it can also be revised by bad actors to do something that you’d rather they didn’t, like happened in this case. So far it seems that the only damage the malware version is doing is making money for whoever created it. However, it’s not out of the question that it can quickly be revised, and an update issued to make it do something worse. If you have downloaded the “Teligram” version to your Android device, delete it now. You should also have security software installed on your products. Some will protect against downloading malware-infested apps. 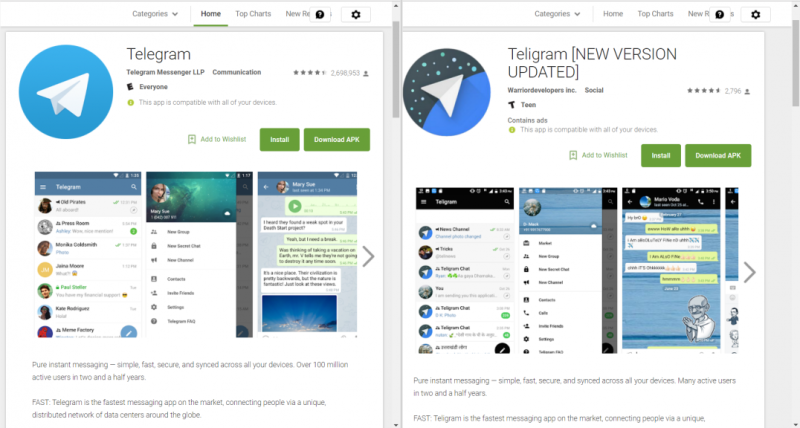 If you want the legitimate version of Telegram, head on over to the Google Play Store and get it from there. You’ll be happier. It isn’t the first time we’ve heard of malware that can be used in a modular fashion to wreak havoc on devices. Kaspersky Lab researchers have found a version of malware that will download a cryptocurrency miner that will overload the components of Android phones and essentially destroy them. Loapi, as it’s being called is yet another evolution of malware, like GozNym before it that uses a component structure to do what it wants to do. This one is a newer version of one found in 2015. It will do some of the same things, such as bypass CAPTCHA verification, but can also do so much more. What is the “more,” you may ask? 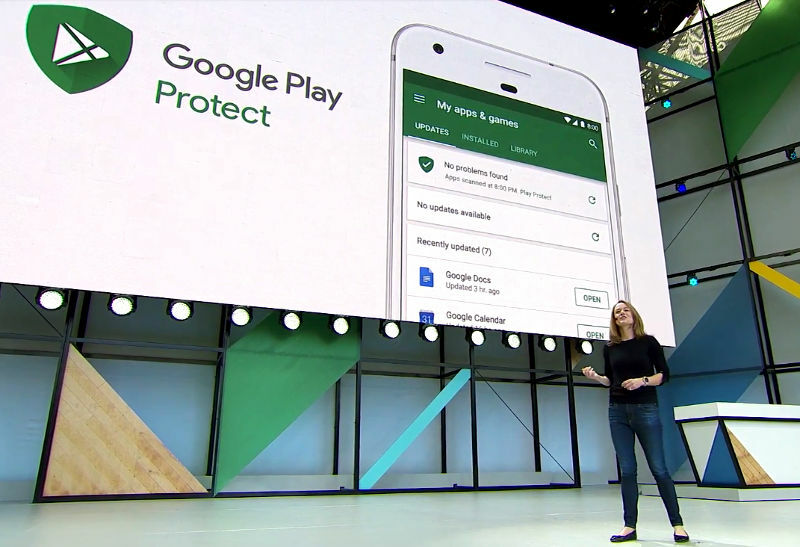 It can inject adware, show ads in other apps that are installed, open URLs in the browsers to show ads, download and install apps, launch distributed denial of service (DDoS) attacks, use the SMS function and subscribe users to premium texting services. Loapi will most certainly damage the device if it isn’t removed, but more importantly try not to let it get on the device in the first place. It is hidden in third-party app stores as one of two things: Mobile anti-virus or adult-themed apps. If you want to download apps, go to the official Google Play Store for them. While there is no guarantee you won’t find malware in there, the odds are lower than if you sideload them from third-party locations. Also, make sure to research the apps before putting them on any device. Read the reviews, make sure the developer is reputable, and if there aren’t many reviews, perhaps give it a little longer before downloading them. Let other early-adopters figure out any problems with them first. One way to tell that Loapi may be on your device is if you get constant popups asking for various rights, including administrator rights. Don’t let it wear you down, should you see any app asking for those. Administrator rights will rarely, if ever be needed for any application you install. Pay attention to the access any app asks for and if it doesn’t need it, don’t grant it. If Loapi manages to wear the user down with its barrage of popups, it will deactivate the administrator account and the device will need to be rebooted in to Safe Mode to remove the malware. This procedure is different for each device, so contact technical support for help if necessary. It is not a trick and most certainly, is not a treat. A researcher from a university in Belgium has discovered a weakness that can be exploited in nearly all Wi-Fi routers. 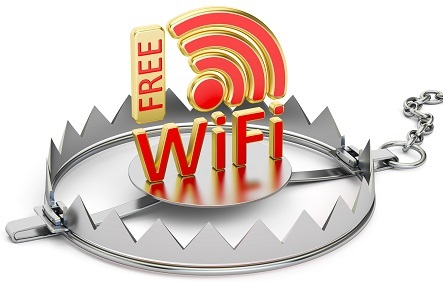 It is cleverly being referred to as KRACK, which is an acronym for “key reinstallation attacks.” Suffice it to say, that anyone using a Wi-Fi connection is vulnerable to possible attack until the patches are released from the vendors. All operating systems have this flaw, but the most at risk is Android 6.0 (Marshmallow) and higher. Linux is the next highest on the list, but MacOS and Windows also possess this vulnerability. Microsoft claimed it has a patch available and Google is still working on it. In the meantime, if you need to do any tasks that involve entering confidential or sensitive information into a browser, do these tasks on a Wi-Fi connection that is more secure than a public place. While it still is not guaranteed safe in this case, it is much less risky to you. Cellular connections are always the safest way to connect and should be used over free Wi-Fi whenever possible. 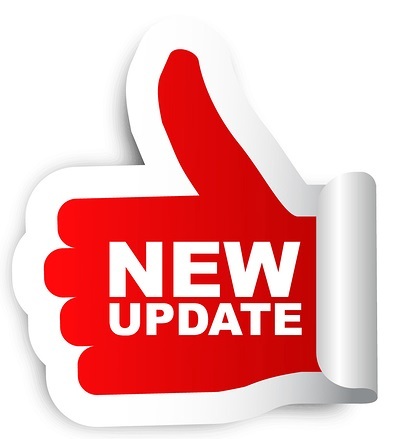 When you see the indicator or dialogue that a patch or update is available for your device, take the time to apply it immediately. This goes for hardware too, as it is possible for the firmware of those devices to be affected. The flaw is in the way the security protocol WPA2 functions. 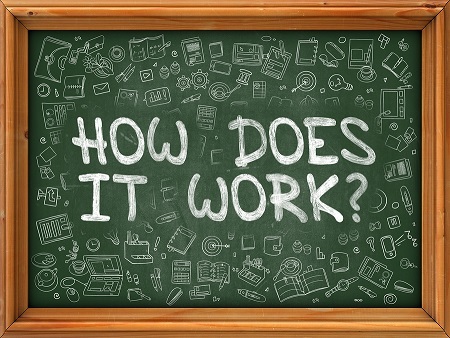 At a basic level, each time you connect to a network, a four-step dialogue process occurs between your device and wherever it is connecting (a process called a handshake). The devices at either end “agree” to use a particular key to create a secure connection. Typically, the key can only be used one time. In this case, the devices are tricked into using essentially a recorded replay of the handshake process. 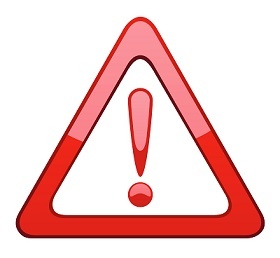 If it is successful, an attacker can hijack the connection and record data passing between the two points. On the upside, the attacker must be physically close by to make this work. That is why avoiding using public Wi-Fi to perform sensitive transactions should be avoided for the time being. However, since it is possible for malware to also be injected into the connection, using public or unsecured wireless is also discouraged.